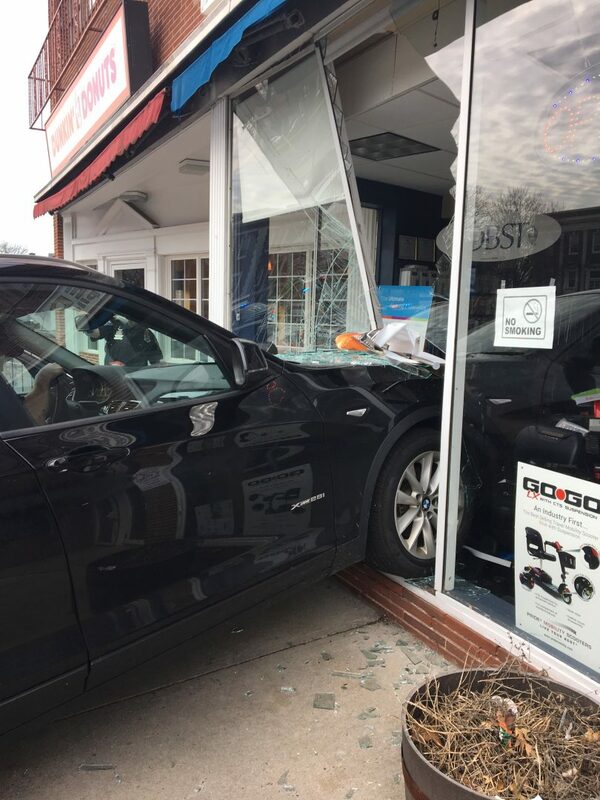 A BMW SUV drove into the front window of a medical supply store on South Main Street in West Hartford on Sunday morning. The driver of a BMW X3 slammed into the Advanced Home Medical Supplies storefront, right next to the Dunkin’ Donuts at 43 South Main St. in West Hartford on Sunday morning. The crash was reported at 9:25 a.m. Sunday, West Hartford Fire Department Chief Greg Priest said. When responders arrived on the scene, the driver had already exited the vehicle. No injuries were reported, Priest said. Crews removed the vehicle from the building. According to Priest, it appeared that the driver hit the accelerator rather than the brake, but he said that the West Hartford Police Department is now handling the investigation.